Nimax is free to accept/reject any orders from any country. All contracts of sale made by Nimax shall be deemed to incorporate these terms and conditions, which shall prevail over any other terms from the party (“the Customer”) with whom Nimax is dealing. Cancellation of orders by business to business customers is not accepted. Cancellation of orders by Consumers will be accepted in accordance with the Consumer Protection (Distance Selling) Regulations 2000. Nothing in these terms and conditions is intended to impinge upon a Consumer’s statutory or contractual rights to reject faulty goods. All orders are subject to acceptance and to availability of the goods ordered: Nimax reserves the right to decline to trade with any company or person. In addition, Nimax may decline to accept any order, whether or not payment has been received, by giving notice of non-acceptance to the Customer by telephone or Email within a reasonable period of receipt by Nimax of the order. Nimax reserves the right to modify the prices from time to time. Goods are subject to availability. Stock levels may change due to the time delay between orders placed and orders accepted. If items become out of stock after Nimax accepts the order we will notify you as soon as possible with availability time. For items that are out of stock, consumers, should they wish to cancel the order will be refunded in full. For online orders date and time for delivery shall not be of the essence. If this is the case, availability and price must be confirmed with Nimax on telephone and/or fax. 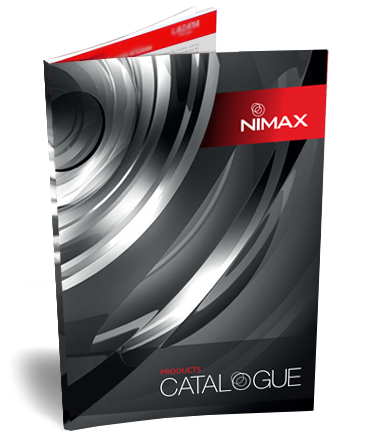 Times and dates for deliveries quoted in the Nimax website or by Nimax’s employees are approximate only. Nimax shall use reasonable endeavors to dispatch goods by the date agreed with the customer, but does not accept liability for failure to deliver within the stated time where this is caused by circumstances beyond our reasonable control, such as (but not limited to) delays caused by delivery companies or manufacturer lead times. If a delay is likely, we shall contact the customer and advise of the delay. A customer who is a Consumer shall be entitled to cancel an order when advised of a delay if the revised delivery date is not acceptable. In the case of a Business Customer, if Nimax is unable to deliver the goods within 30 days of the agreed delivery date, the Customer will, as its sole and exclusive remedy, be entitled to cancel the order and require any monies paid to Nimax in respect of that order to be refunded. In order to cancel, the Customer must send written notice of cancellation to Nimax after the above date but before delivery of the goods or notification from Nimax that the goods are ready for delivery. This Clause does not apply to Consumers. Nimax can accept payment thru Western Union, PayPal, Credit Card, Bank transfer. Nimaxseals.com ships goods same day if possible or next day. Business and shipping hours are Sunday through Thursday 9:00 am to 5:00 pm UAE Time. Please note we cannot ship to PO Boxes. If one product is not available in your required quantity, we will inform you delivery time subsequently. Nimaxseals.com cannot accept returns on delivered items due to the nature of these products.